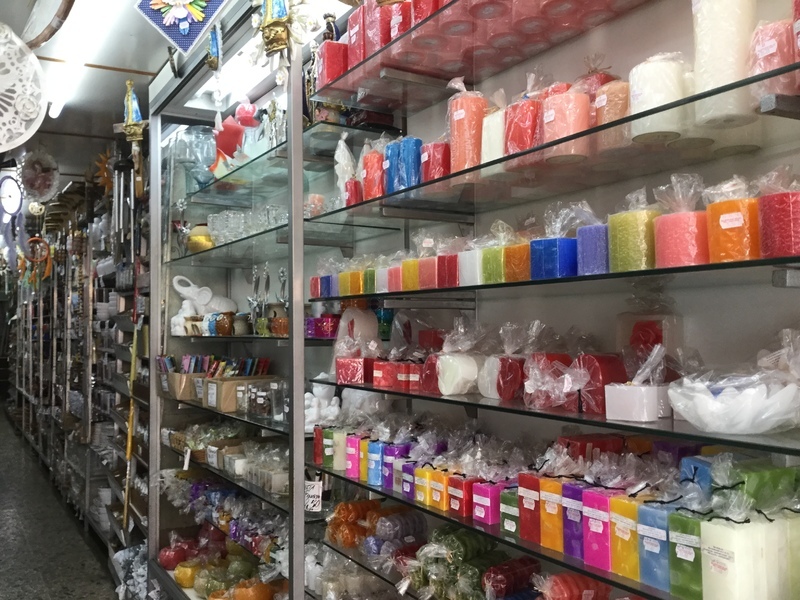 Palácio das Velas is not only a chain store in and of itself, but an excellent example of a special kind of shop that is ubiquitous throughout Rio de Janeiro and Brazil. 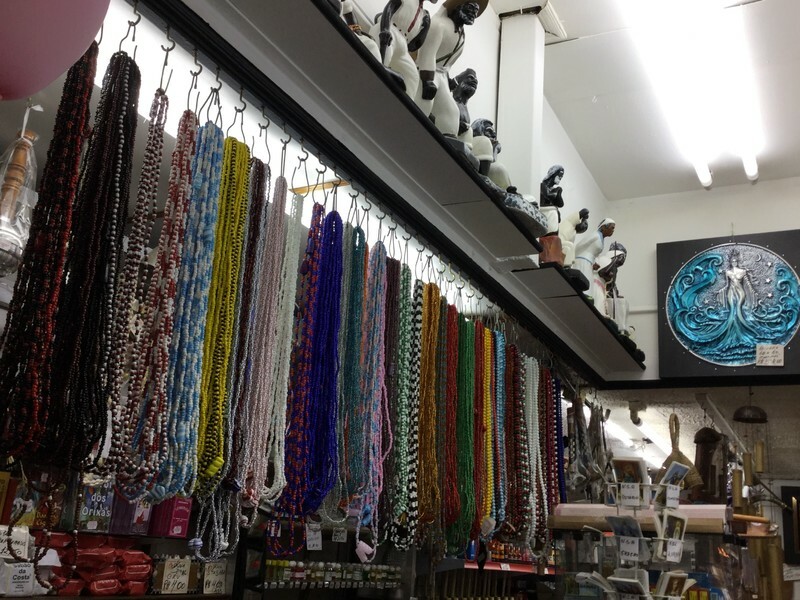 You really can't walk more than a couple of blocks in any neighborhood without seeing a shop like this. What we find here is a perfect manifestation of a deeply held Brazilian value that is easily summed up in the common African American phrase, "Everything is everything." 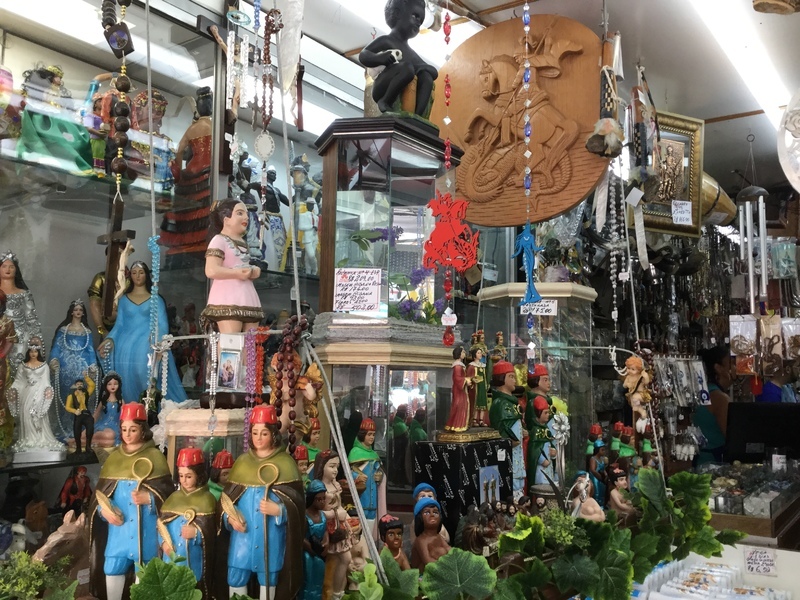 Religious iconography from Catholism, Candomblé, Umbanda, Hinduism, Buddhism, Ancient Kemet, Roma (ciganos="gypsies"), Greek and Roman Mythology, Spiritism, Wicca—and just about anything else you can think of—live together harmoniously on these shelves under a grand umbrella of mutual respect. 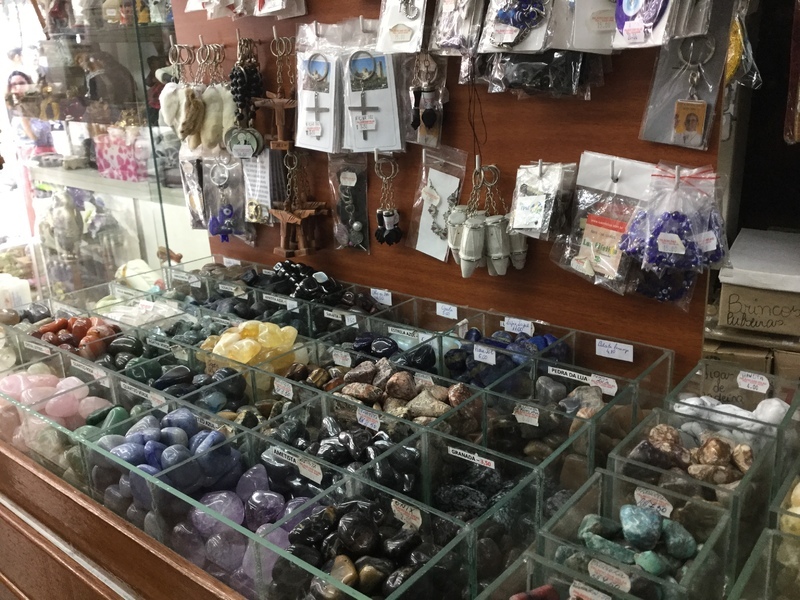 Whether you need a new rosary or that specific pepper your orixá eats; if it's an herbal spirit bath you need before your job interview or a 7-day candle for your grandmother's funeral; perhaps it's just your favorite incense or a lucky charm keychain for a small gift; you can find it in a shop like this. Religious values are woven into the most ordinary day-to-day activities. 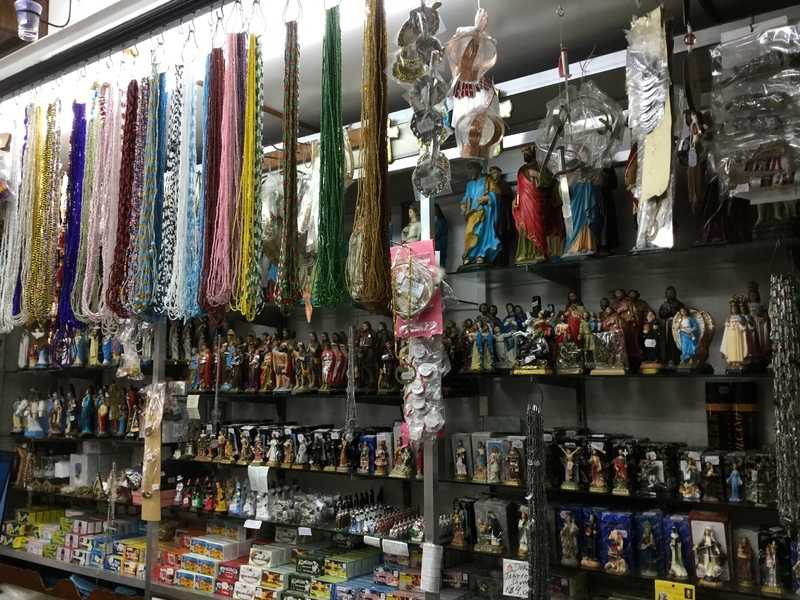 And due to the syncretic approach to religion in Brazil, maybe you need a new rosary and that specific pepper your orixá eats! Unfortunately, it is also true that there has been a new rise in religious intolerance in Brazil. 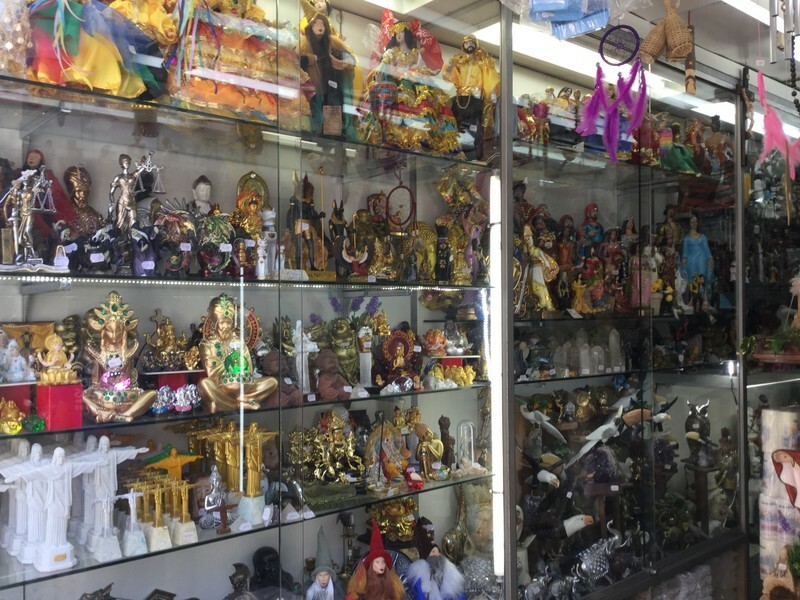 Attacks on traditional African religious practitioners and temples are on the rise. Neo-Pentacostal and Evangelical movements are sweeping through communities and conquering ballot boxes across the nation. And so again, ancestral practices and knowledge bases will have to be cherished, held in resistance, and protected for a new generation. 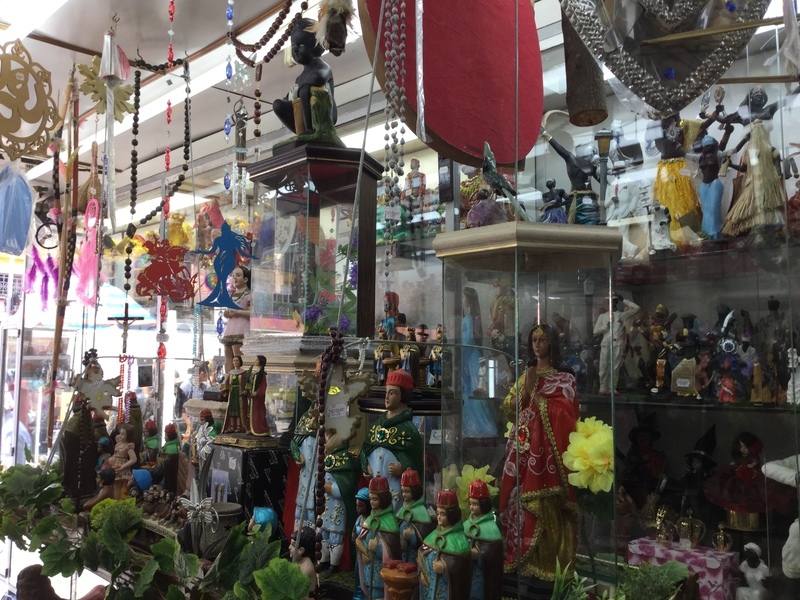 Sadakne Baroudi, “Palácio das Velas,” Afro-Rio Walking Tour, accessed April 26, 2019, http://afroriowalkingtour.com/items/show/13.